Kenya’s First Lady Margaret Kenyatta has said social protection is a fundamental human right and a challenge with a bearing on not only human health but also on the overall human development. While calling on all stakeholders to play an active role in the establishment of sustainable national social protection programmes, she said she was glad that gender mainstreaming is now a dominant subject in many national social protection systems globally. The Kenyan First Lady challenged global leaders to reflect on how they can use their leadership influence to ensure the issue of social protection is responsive to the most vulnerable groups in their societies. Ms. Kenyatta recounted her experience in advocacy, saying her actions resulted in the refocusing of national attention towards ignored areas of the health sector especially the primary causes of maternal and child mortality. “When I stepped into the role of being First Lady, it allowed me to start thinking about how this position could make a difference and change the course of our country’s future in the health arena,” said the First Lady. The First Lady spoke when she addressed on Monday over 500 delegates during the ongoing 63rd Session of the Commission on the Status of Women, which is taking place at the United Nations Headquarters in New York city. She said her simple message that "No woman should die giving life’, resonated well with the masses thereby creating awareness on the health challenges that had long been an impediment to social protection especially lack of access to quality health care, information and education for women, children and vulnerable societies. 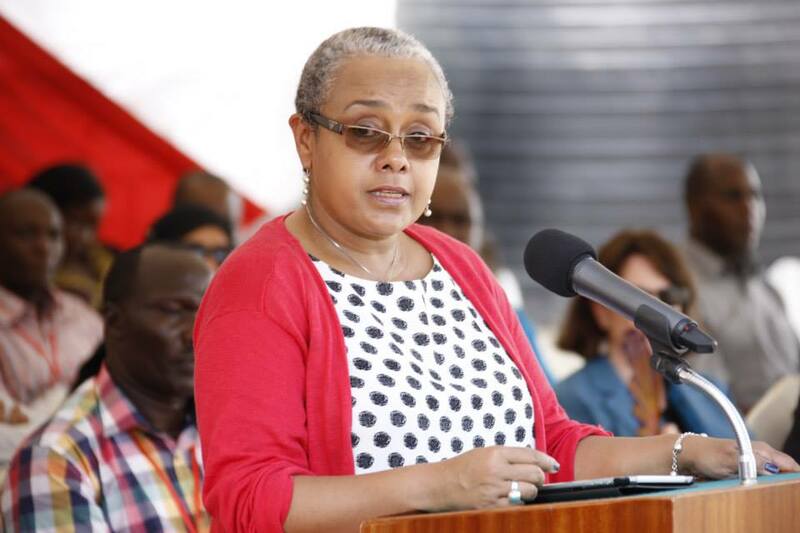 “The principle ‘idea’ of Beyond Zero is to spur a ‘movement’ across the country about an issue that weighs heavily on the minds of ordinary Kenyans, ordinary families,” said First Lady Margaret Kenyatta. The Kenyan First Lady pointed out that at the time of the launch of Beyond Zero Initiative in 2014, Kenya was considered one of the most dangerous places for a woman to give birth due to the high maternal and neonatal mortality rates. She also said at that time, chances of survival for an HIV patient was very low and yet the fatalities could have been prevented using proven, affordable and sustainable interventions. “At that time, the total maternal deaths were 6,300 per year and 13,000 new HIV infections occurred among children annually and the number of pregnant women attended by skilled health workers during delivery was at 44%,” the First Lady said.